Obviously the car was stolen. Obviously this was in Tuscaloosa. Obviously this was in Tuscaloosa after the 2010 Iron Bowl (dash-cams timestamps can be doctored). 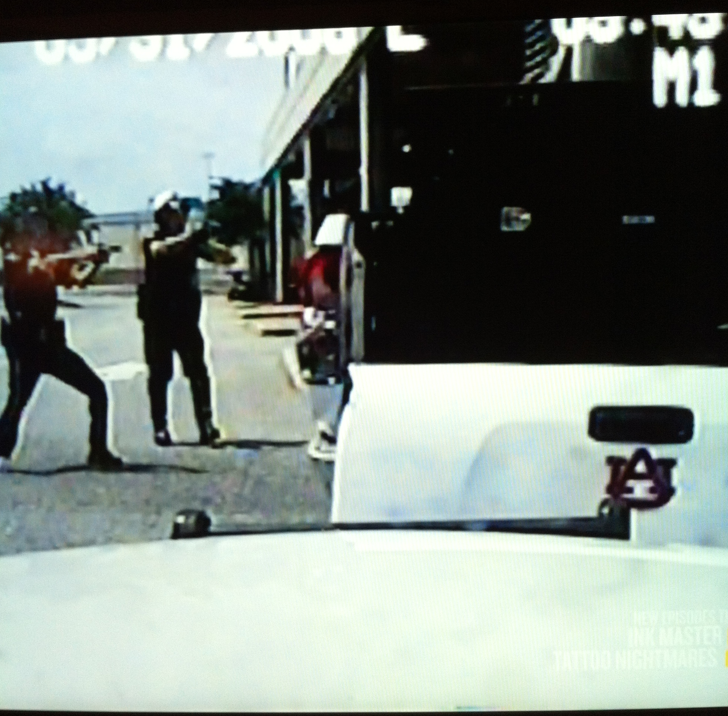 Obviously this can’t actually be an Auburn fan being fired upon and shot (but not fatally) after crashing his / her pickup truck (that thing the Auburn sticker is on the tailgate, which is barely still attached) as seen in an episode of World’s Wildest Police Videos. Related: All In. Your Bra.